Jurgen Klopp took time to lavish Alex Oxlade-Chamberlain with praise following our 4-1 win against West Ham on Saturday. The Englishman scored a decisive goal when we were 2-1 up, which effectively killed off a game West Ham were threatening to get back in. Ox’s first effort was blocked, but he smashed the follow-up into the roof of the net – his second goal for Liverpool. 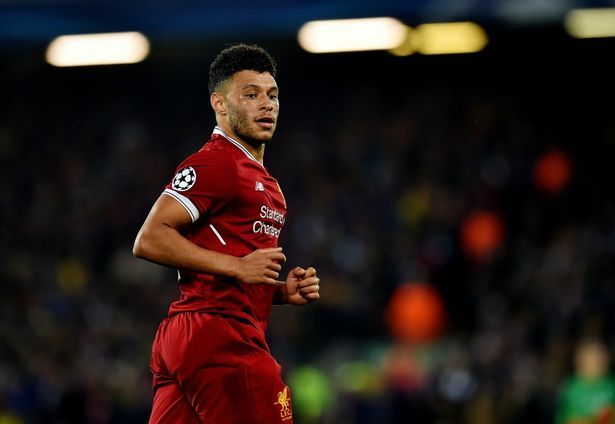 Klopp said he’s pleased with the Englishman’s progress, especially because he claims Ox is asking what he needs to do to get in the side, rather than just expecting to be. “I’m happy, really happy, that he could make this decisive moment,” the German told Echo reporters. “They were all decisive by the end but I would like to have this answer always when we concede a goal. It would make life easier. “He needs to get used to the intensity that we ask—it’s not that Arsenal didn’t, they play fantastic football. “But we are really on it with these counter-pressing things and the switch immediately to make the break. “The problem is that we are all used to it and if you are not used to it, and you defend differently and you drop when they get the ball, that is a different thing. “He knew when he came and we signed him that this will happen and we would ask for this and it is nice. Ox wasn’t not called up to Gareth Southgate’s England squad, so now has two weeks at Melwood with Klopp in which he can continue improving. Obviously the player would ideally be with his country, but long-term, this fortnight could be beneficial – as the 24-year-old was denied a pre-season with us due to us completing the deal on transfer deadline day.